PhD position available for a student with a special degree (B.Sc) in Zoology/ Biology/ Aquatic Resources management/ Chemistry. 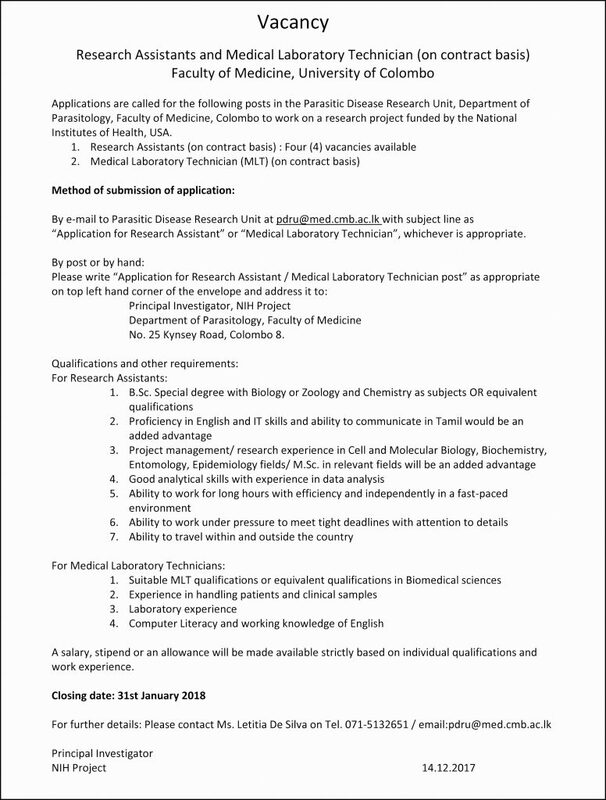 Contact Prof. Pathmalal Manage (pathmalal(at)sjp.ac.lk ), Head department of Zoology for further details. M.Phil position available for a student with a special degree / General degree in Zoology/ Aquatic Resources management/ Chemistry/ Physics. M.Phill position available for a student with a special degree in Zoology/Aquatic Resources management or Chemistry. Preference will be given to candidates who have followed Zoology as a subject in 1st and 2nd Years. Contact: Dr. F. Sumaiya Idroos or Prof. Pathmalal Manage.